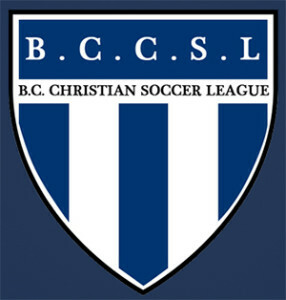 On any given evening throughout the spring and early summer there have been soccer teams battling for supremacy in the BC Christian Soccer League. The regular season has just ended, and the playoffs are taking place in early July. The BCCSL has 41 teams in three divisions around the Metro Vancouver region. Most of the teams are from evangelical Protestant churches, but there are now several from Catholic churches as well. The league finals for all three divisions will be held July 13 at Burnaby Lakes Park. Thus the ‘battle for supremacy’ has limits. Games begin with prayer and allow players from various teams to get to know each other over the years. Retaining an attitude of grace and good sportsmanship can be a challenge in the heat of the game, and one is reminded from time to time why we all need to rely on God’s grace daily.